When we offer children a lifeless, stale education, we not only destroy their vitality, but we dumb them down. Through industrial era excesses we have altered the biosphere to the extent that our planetary homeland may in the foreseeable future become inhospitable for human habitation. Climate crisis is recognised as a global geo-political issue. How can young people be expected to contend with such catastrophic futures? How can we turn around dead, stale thinking, awaken ecological thinking and bring education back to life? Evolution of consciousness research tells us that 19th century mechanistic thinking is giving way to more life enhancing thinking. In the early 20th century Whitehead’s process philosophy, Einstein’s relativity and quantum physics turned Newton’s building block universe on its head. Is education keeping up? A few well-known educational pioneers made significant contributions to overhauling the factory model of education and breathing life into it. The ideas of Maria Montessori in Italy, Rudolf Steiner in Germany, John Dewey in the USA and Sri Aurobindo in India are still alive today globally. But they have remained relatively marginalised. How can the best of these ideas be spread? Several contemporary educational approaches can help to shift static concepts to living thinking. One of the most important is Kieran Egan’s theory of Imaginative Education. I first met Kieran at the “Imagination and Education Conference” (2009) in Australia, after completing my PhD on evolution of consciousness and its importance for education. I became particularly interested in his five “kinds of understanding” of Imaginative Education: somatic, mythic, romantic, philosophic and ironic. It synergised wonderfully with Jean Gebser’s structures of consciousness: archaic, magical, mythic, mental and integral. Australian advocate of imagination in education, Bernie Neville, compared Egan’s stages with both Gebser’s structures of consciousness and psychologist Robert Kegan’s orders of consciousness. I discuss this in detail in Postformal Education, in Chapter 9: “Pedagogical Life: A Sustaining Force.” Other contemporary educators who believe imagination plays a crucial role in transforming education include Jack Miller from Canada, Ron Miller from the United States and Thomas Nielsen from Australia. Life and its metaphors are also emphasised in ecological, environmental and sustainability education. 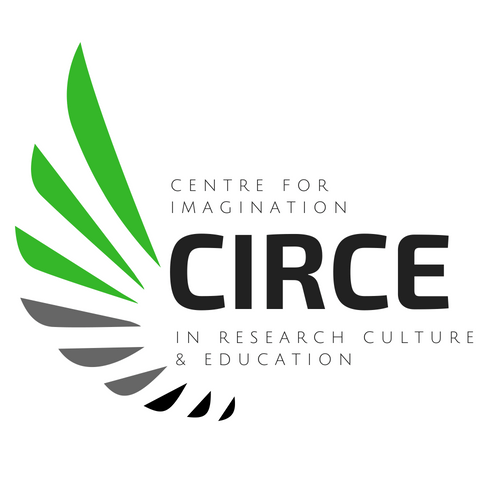 David Jardine talks about developing “ecological imagination” in young people. Similarly, ecopedagogy grew out of the First Earth Summit in Brazil in 1992 under the influence of Paulo Freire’s critical pedagogy. 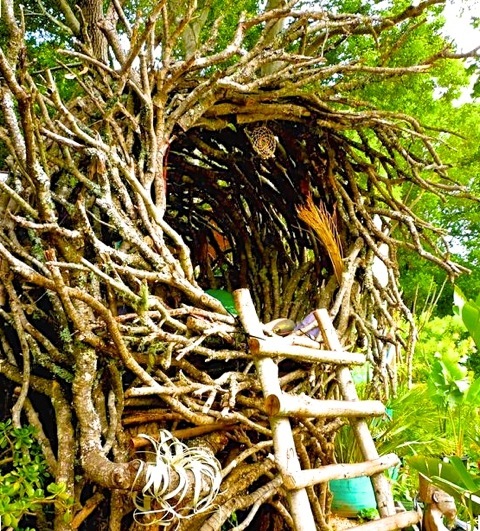 In addition to its home in Latin America, ecopedagogy is thriving in Bulgaria through the influence of young sociologist, Stefan Grigorov. Futures studies and foresight education, with their links to sustainability and citizenship education, play a vital role in ecological awareness. They help develop a sense of responsibility for long-term futures of life on our planet, the survival of our companion species and life itself. Futures education with young people may involve workshops in which the young people imagine possible, alternative and desirable futures, before creating the action plans that empower them to create their preferred futures. We can also encourage life-enhancing values and increase vitality through promoting pedagogical life in simple practical ways. 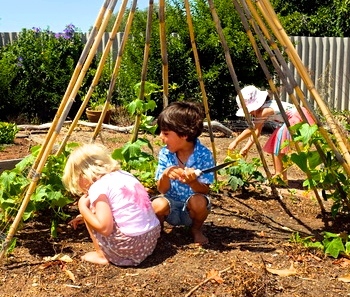 We can ground children in nature through gardening, creative handwork, and following daily and seasonal cycles, rather than mechanical clock time. In the 1980s I founded a school with a very innovative curriculum. I want to share two examples of how we used a playful, imaginative approach with young children to lay foundations for science theory in high school. In the first project, with the help of an alternative energy expert, we designed and built a swing set that used the children’s kinetic energy to turn on a light bulb. At a time when renewable energy was still a relatively new idea, to the children this was pure magic. And yet it was a magic that they had created with their own energy, while they were playing! In a second project we built a stone mound with a water wheel on top that, when operating, poured water down through a sculpted waterfall into a pond nestled into a sandpit beside a see-saw (teeter-totter). When children rode the see-saw, their kinetic energy pumped water up, turning the water wheel and pouring water down through the flow forms. In both these projects the children were empowered to experience their own kinetic energy being transformed into another kind of energy. Through imaginative play, they were learning the fundamentals of physics, which they would later learn about conceptually in high school physics. Finally, creative school architecture is an increasingly popular way to stimulate children’s creativity and imagination – to help them “to think outside the square”. Creative school architecture is iconic to Steiner/Waldorf schooling, but has now become a benchmark for top international schools in Scandinavia, Japan, Korea and elsewhere. 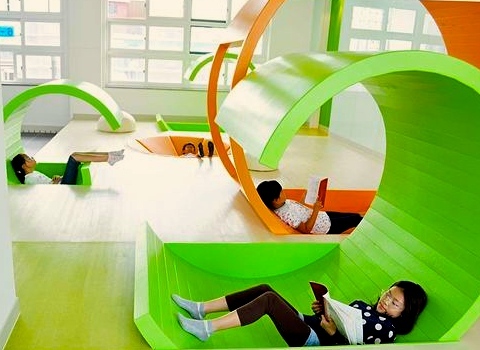 Examples include a colourful kindergarten in Dae-Eun Elementary School, Seoul, South Korea. Postformal Education: A Philosophy for Complex Futures (Springer, 2016). 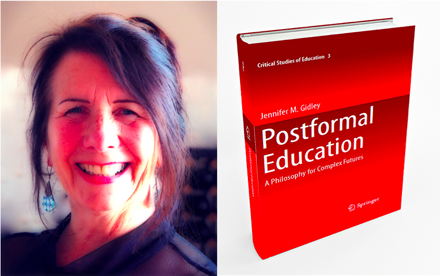 Jennnifer M. Gidley, PhD, is an innovative educator, futurist and psychologist. She has decades of professional and academic experience including founding and pioneering a contemporised Steiner school in rural Australia. Her current research and writing are focused on raising awareness about the urgency for “new thinking” to navigate the complex futures we are facing. Her expertise spans educational and youth futures, futures of thinking, and sustainable urban development. 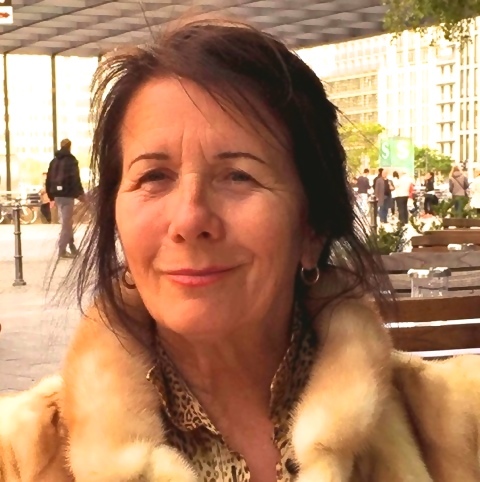 As President of the World Futures Studies Federation, a UNESCO and UN partner and the global peak body for futures studies, she represents 300 of the world’s leading futures academics from over 60 countries. Her next book is The Future: A Very Short Introduction (Oxford University Press, 2017).